This is a lovely basic kiwi bach with open plan kitchen/lounge/dining room. The kitchen is fully equipped and has a microwave and fridge. No full sized stove but an electric frypan, benchtop oven and double hotplate, together with the barbeque gives plenty of options for holiday meals. There is TV with Freeview, a radio and a DVD player. The bedroom has a queen sized bed and there is a sofa bed and single divan in the lounge area. (Bring your own linen) There is a large deck and outdoor furniture for winding down as the sun goes down. A few minutes walk takes you to the beach where there is also a playground. It's a short distance from there to the shops, medical centre and pharmacy. Coopers Beach also has a popular Bowling Club. There are several beaches within a short distance which are popular for fishing. 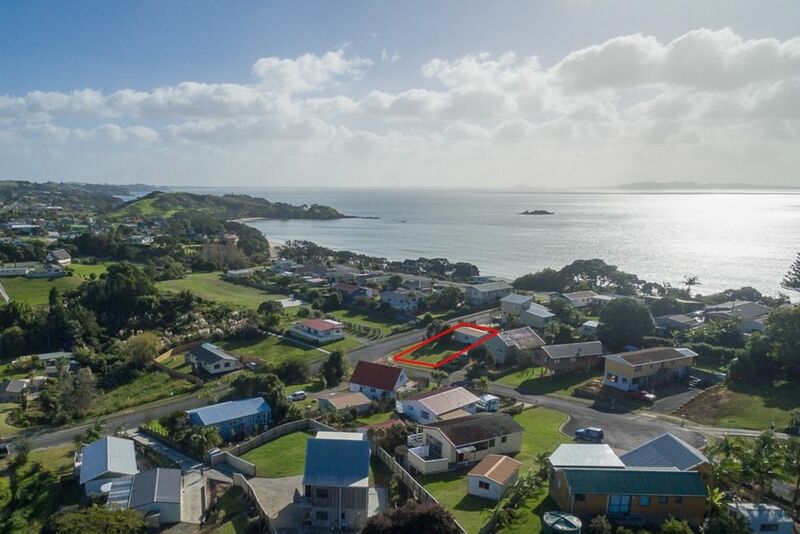 Have a drive up the nearby beautiful Karikari Peninsula with it's stunning white sandy beaches or pop into Mangonui and visit the famous Mangonui Fish and Chip shop near the wharf. Nearby Taipa has the surf beach plus a lovely estuary which is great for swimming, kayaking or learning to fish. Bond Required: $120.00. Payable to owner and refunded to guests nominated bank account after satisfactory inspection by property manager on departure. Linen not supplied. This Coopers Beach batch had a good location with off street parking. The batch is a simple construction but well equipped, everything you could possibly need. A friendly host and great communication regarding our stay. We would certainly come back as it is an ideal base for exploring this wonderful area. Thank you for your comments. We enjoyed having you stay at our little holiday home and we do hope you will be able to come again some time. This bach is well located - 5 mins walk to beach - and is v tidy, clean and well equipped. Suggested improvements would be the addition of a reading lamp, a better bed in the room and an underlay for the sofa bed. Property manager lovely and helpful. Awesome house/location. Has everything you could need, which makes the stay feel like you're "at home". Will stay again next time I come up. Thanks again. 5 minutes drive to Coppers beach and shops and to the famous fish and chips shop. Great basic Kiwi bach. Clean and tidy. Comfy beds, plenty of hot water for showers, all kitchen necessities for cooking. Easy to walk to the wonderful beach. Nice residential neighbourhood - can hear kids playing at nearby park but nothing late - quiet for sleeping.